This page offers a general overview of the different types of help that exists for alcoholics. After looking through some of these options, make sure you visit a local rehabilitation center or your physician for assistance in making the choice that is right for you. Most cases of alcoholism need a form of extended care, counselling, or group meetings. You may need to consider your personal case along with budgeting for a private rehab center if this is the option you choose. Availability of kinds of help for alcoholics will vary from region to region. Most forms of help for alcoholics require a period of detoxification. The ‘detox’ process will require a total abstinence from alcohol to clear it from the body. This process may or may not be aided by medications. Detoxification periods should always be accompanied by support sessions from friends, family and professionals. Some severe detoxification periods can put a person’s life at risk, and they should always take place at a clinic, hospital, or rehab center. Drug-free methods to detoxify include using natural supplements or acupuncture to help alleviate some of the physical symptoms. This requires meeting with a professional substance abuse counselor, or a qualified psychiatrist. 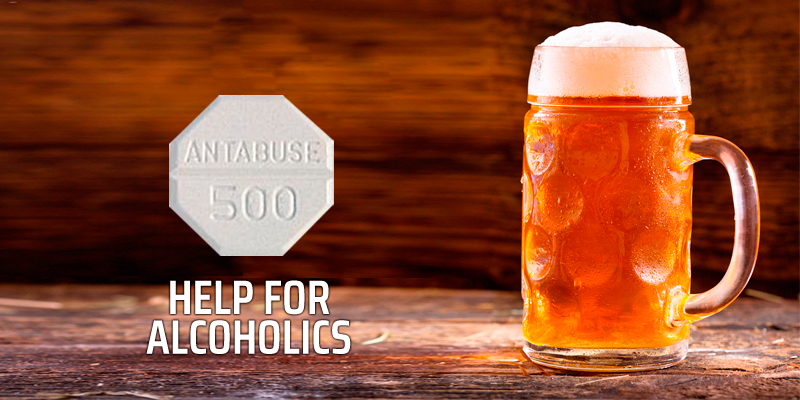 A therapist will support the patient’s attempt at sobriety through a variety of techniques. Also, the counselor will likely address other mental health issues to help the patient resolve underlying problems in his or her life that might be contributing to alcoholism. Doctors can prescribe medication that help with the detoxification process and may help the person stay substance free. For example: Antabuse will cause a feeling of nausea when alcohol is consumed; while naltrexone can help stop the cravings for alcohol. The close friends and family of an alcoholic can be powerful motivators in helping an alcoholic reach sobriety. An invention should be organized with as many close friends and family members as possible, and through professionally trained help. Friends and family members should be educated about alcoholism and should prepare themselves for various steps in the recovery process after an intervention. The recovery process will take time, and it is something they can all go through together. Varieties of self-help recovery groups are accessible in almost every municipality. Alcoholics Anonymous made famous this form of public meetings where people discuss their everyday experiences and support each other mutually. These group meetings have had high rates of success, and are often incorporated into many forms of treatment. This provides both intensive daily individual therapy and group work, where the patient is able to leave the clinic or rehab center daily. Intensive outpatient treatment programs typically require at least five or six hours of treatment a day, for a span of at least a few weeks. Inpatient treatment involves a stay at a residence. These provide all-day intensive programs that involve both individual therapy and group sessions. Family and friends are often encouraged to attend the residence for certain days to help with therapy. There are a variety of public and private rehabilitation centers to consider for a period of residency.